The High Court of Karnataka disposed of a Public Interest litigation challenging Bruhat Bengaluru Mahanagar Palike earlier collection of property tax. Chief Justice SK Mukherjee asked the commissioner to acknowledge within 3 month the representation to be filled by a Bengaluru based society, Bharatha Surachana Mandala. The appellant demanded that property tax depends on the system of the building and its acceptance and any cut because of changes will have to be verified by the ARO of that sub division and then only tax can be collected by Bruhat Bengaluru Mahanagar Palike. Appellant’s points: The process of collecting advance property tax in present is no scientific ….Genuine honest citizens are disturbed because of paying worthless / inappropriate tax. The appellants claimed that they have to visit BBMP offices so many times and need to go through managerial procedures that can led to corruption for defending refund. According to draft rules disclose by the government developers have to pay interest of 11.2 % to buyers if there will be delay in key handing process on the commitment time. This step will give relief to buyers. According to rules of the projects that are not completed or under construction will have to register with the RERA (Real Estate Regulatory Authority) to build up in states/ UTs in the period of 3 months of the rules being announced. Builders have to reveal all correct information related to completion of projects on time, facilities provided, total areas square feet, draft rules, published to follow public comments till 8 July. The basis, on which registration may be cancel , is like any miscommunication such as delay on time delivery, change in layout or plan, increasing the size of units and building of any additional towers without taking approval of 70% residences. In resemblance situation the high authority can take decision, including involvement of external agency in completion of project with the approval of buyers’ association. Times of India reported that the draft rules provided a ‘’ compounding’’ fine that builders can pay to escape jail if they break a rule by the authority. Developers said if the rules were applicable on ongoing construction of projects the sector will be blow badly and there could be more lag. Getamber Anand, President of the Confederation of Real Estate Developers Association of India said that all projects which are unfinished and have to launch before the year 2012, can be call as offender and comes under draft rules, developers will have to return 11% rate of interest to buyers if they demand for money. As real estate is a subject of state, every state has to make its own rules and regulations approved in the various assemblies. The government of State will have to make their own rules within 6 months of 1 May, when the Act was announced. The rules will come as a great relief to home buyers as this would be a step towards forcing developers to complete projects as soon as possible. 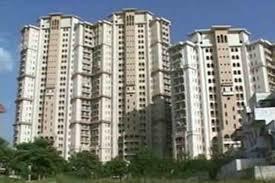 The Haryana government on Monday pronounced on Monday to slit circle rate by 15 % in Gurgaon city to restore the real estate market and carry buyers back into the market. Expert said that with this step government has identified that there is a decline in the real estate market. Chief business officer Narasimha Jayakumar, 99 acres said, ‘’ the step will help in much improving the whole sentiments. It is expected that prices of both new and resale properties will down, mainly for ready to move in discovery and plots. With the help of experts, points are here which is going to affect the buyer and builder community. As capital tax gains is calculated circle basis rate, this total cost of ownership is likely to down. Registration of property which had reduced in Gurgaon is also expected to observe increment, thus bringing in the needed much credit to the state government. The down will also help sell the parcels land meant for commercial. In this year month of March , 96 Commercial properties auctioned by Haryana Urban Development Authority, only 10 were sold, due to high circle rates. Builders would witness the light of the day with sales number beat. According to JLL (Jones Lang LaSalle), a real estate consultancy, Kochi will become the most preferred destination of real estate in India. A Shankar, director national and head of operations at JLL India, there are 6 reasons for this happen. Through a competitive selection process, Ministry of Urban Development, Government of India recognized 20 cities under the Smart City mission. Kochi ranks fifth, for pan city solutions and area –based development investment expected of Rs 2,076 crore. Water management and E- Governance are target areas as also part of pan city solutions which will benefit Kochi to improved and well planned infrastructure with satisfied power and water supply, solid waste management and sanitation, public transport and urban mobility, IT connectivity etc. Connectivity via Metro in Kochi is under construction at various stages and is expected to be ready by 2017. Kochi Metro Rail Corporation has proposed a grand route spanning approx. 25.25 km from Aluva to Pettah in Phase 1. CIAL (Cochin International Airport Ltd) is creating International Terminal of Rs 1,100 Crore with a space of 15,000,000 square feet. It is designed such that it has occupancy to handle 4,000 passengers per hour and will be started by 2016. Once started, the new international airport terminal will have a very good and positive economic impact and will boost the real estate market in whole region. Kochi is one of the venues for ‘SEA-ME-WE-3’ (South-East Asia- Middle East- Western Europe 3) and ‘SAFE’ submarine cable landings, and is the 2nd Indian location along with Mumbai to have two submarine cable landings. This evidence focuses that Kochi is a big destination for IT sectors. 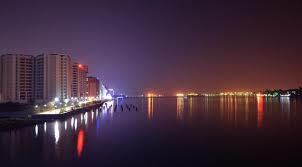 Kochi is famous for its high culture value, and contributes denoting to Kerala’s tourism industry. It notices an annual tourism inflow that equals about 4 times its population, for foreign tourists 14 percent accounts, and reflects an annual increase of about six per cent. 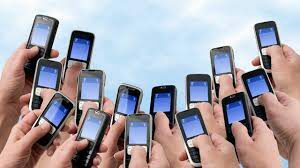 Pune: The state Inspector- General of Registration has started the SMS facility of getting updates on property documents has harassed as many as 1,700 queries in past 2 months from citizens. Citizens have no more to rush towards SRO (sub-registrar’s office) to get the validity of documents; they can now stay updated by just sending a text to the office. The present situation is the details of registered documents after July 2012 is possible through the system. Plans are hiking to upload related to registered documents between the years 2002-2012 in next 1 month. According to officials, “Per month 800 messages were received. These were for the documents which were genuine but the system had not accepted the half-filled required details. Plan is to connect with more and more citizens by revealing details of the facility at SRO. On the website of Inspector General Of Registration a manual has been uploaded to describe people how the SMS system operates. Some sources from real estate industry said that there have been examples of fake registrations. This text facility will help citizens in finding whether a document has been registered with SRO (Sub- registrar’s office) or not. IGR said that it has facility to scan documents related to registrations and upload them on server, mainly those documents which were registers between the year 1985 and 2001, as they were manually registered. SDMC (South Delhi Municipal Corporation) has approved 180 buildings plans in last 2 months after process of confirming building plans was digitized and simplified into single window clearance system in April by the civic body. Source says from departments of buildings that digitizing of buildings is attracting people more to follow the rules. Shyam Sharma mayor of SDMAC said that in previous the process to approve a single building plan the whole process used to take more time but in previous two years the plans approved by company has grown high. Officials said that the process of online filling form of building plan has a very simple application form which people needs to fill easily and there is no process of visit office too. “People said that they have to face many ups and down rounds to approve building plan. Residents can easily track the current status of their filled application form. Money will be deposited through online process which reduces corruption. Many procedures have been reduced like only single affidavit is valid rather than multiple numbers. Also, the list of architects and structural engineers is available online which leaves no space for any confusion,” said an official. 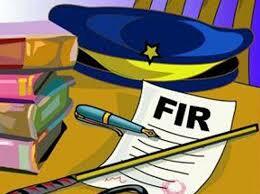 FIR against AN Buildwell has been lodged for dishonesty and criminal conspiracy. 15 investors stated that the builder has not completed project on commitment time and paid them the rent as committed. According to investors the company has promised to pay rent if the project was not completed on given time. The FIR has been booked against builder upon the sanction of economic offence wing. Buyers have approached to Navdeep Singh Virk, police commissioner for further action. Riddhi Siddhi group has purchased 69,000 square feet of land in Bopal from Inductotherm India for an amount of Rs 268 crore. According to realty sector source this deal is hefty deal of this year. The plot became vacant after has shifting of manufacturing facility of Inductotherm India to Sanand. According to the source ‘’ Last week deal has been completed and all formalities like property registration in the name of Riddhi Siddhi Infraspace. 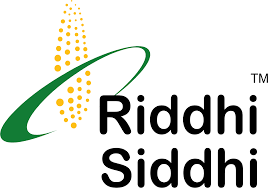 Riddhi Siddhi group is of Chowdhary family which has interests in Chemical business and commodity. This plot is in a prime area which connects SP Ring Road and Ghuma. This land falls on BRTS route. This plot is neighborhood of plot which is vacant and used as vegetable market, surrounded by properties and commercial plots. Sources said that discussion had been going on for past 6 months, some real estate player denied from the purchase even after signing some paper. For stamp duty and registration fee Rs 13.13 crore and Rs2.68 crore has been paid in registrar’s office. Official sources of Inductotherm and Riddhi Siddhi group could not been cached for their comments. The youngest boss of online retailer Flipkart has purchased house in Bengaluru of Rs 32 Crore, which is approx. 10,000 square feet. This house is in Koramangala which is very much close to Flipkart started before 9 years in one of the most luxurious residential deals in the tech city, People who were known of this matter said. Koramangala is hub of city’s businessman; mainly its 3rd block has become the choosy place with a bunch of billionaires purchasing homes there. The neighbors of Binny Bansal were Infosys co-founders Nandan Nilekani and Kris Gopalakrishnan. Bansal has completed all formalities related to paper work of property. Coincidentally Sachin Bansal co-founder of Flipkart has also purchased a property in the same neighbourhood, though a smaller one. He acquired this benefit some years ago after converting some shares in Flipkart just as the assessment boom kicked in. Flipkart had an apex of 15 billion, was recently slow down but still a heavy $10-billion tag. Bansal gained the new house from the Iqbal family, a very long time resident of this area, and has paid the very highest stamp duty for any other transaction of residential property with the local sub registrar. For Bansal, Jones Lang Lasalle incorporated (JLL) have to manage the property transaction. When contacted, a speaker for Binny Bansal refused to comment. An emailed query to JLL went unanswered. The Koramangala is an outpost which has a solid connect with a new treasure thrown up by tech businessperson of Bengaluru most of them have a tendency sparking money. 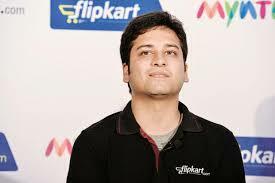 This year, Flipkart restored its top array, making CEO Binny Bansal while Sachin Bansal became chairman executive. Flipkart has heightened $ 3.2 billion from marquee global investors under the leadership of the both Bansals. Both Binny and Sachin Bansal are the signboard of Indian startup scene, which has develop foreign risk capital set up local businessperson desire. India’s consumer internet startups, which offer convenience and access in an infrastructure-deficit country, have emerged as powerful engines of economic growth and job creation in Asia’s third largest economy. Shri Group is raising Rs 80 crore from Edelweiss a trading account through an associate of structured bill and construction finance for its housing project situated in Greater Noida West. The money will be used for land payments, construction of housing projects in Greater Noida as well as other corporate purposes. Director of Shri group, Sudeep Agarwal certify the transaction and said the company has taken Rs 40 crore as yet and Rs 20 crore will come soon. He said “We have to take a responsibility on the rest of the money”. Agarwal said that 1st phase of Shri Group project name Shri Radha Aqua Gardens will complete soon in Greater Noida West with a part of money and another 2 phases of the project later. He also said that some projects are ready for possession in Greater Noida West and people have moved in more than expectation. A speaker woman of Edelweiss certifies the transaction but refuse to comment more. On the basis of year over year NCR were up in sales of about 33%, Mumbai rose by12%. Bengaluru witness sales drop by 18%. In Mumbai price remained low while in NCR up t0 3% compared to a year ago. The government has given its green signal to construction of six lane of Dasna-Merrut connected under Expressway from Delhi-Meerut at a price of Rs 1,658 crore. The aim of Delhi-Meerut Expressway is to control traffic in Delhi, construction proposes of 4 stretches, including Nizammudin Bridge to border of UP, UP border to Dasna and Dasna to Hapur. A senior government officer said ‘’ Based on the recommendation of the Expert Appraisal Committee, the Ministry of Environment has given clearance environment to National Highway Authority of India’s proposal to construct Greenfield sequence of Delhi-Meerut Expressway from Dasna –Meerut and the 6 lane connector. The official said that the planned Dasna-Meerut has been accepted subject to certain conditions. 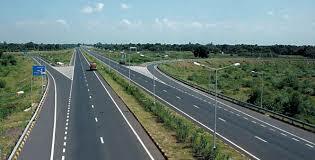 The NHAI has offered constructing a new alignment including of 1 major bridge and 4 minor ones a 46 km long road. National Highway Authority of India has offered upgrading and widening of total 19 channels to 4 lanes, with total 626 to be constructed new. The proposed project, which would involve land acquisition of 479.91 hectares, is estimated to cost Rs 1,658 crore. NHAI and the Ministry of Transport have been check out the distance between National Highway and urbanization, commercialization or industrialization span to avoid traffic jam. 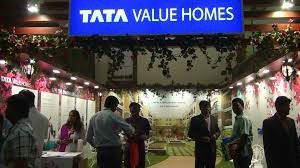 Tata Housing a real estate firm has sold more than 200 flats for about Rs 300 Crore in its residential projects based in Gurgaon. Tata Housing the real estate branch of Tata group said, In 10 days 200 units of La Vida on Dwarka Expressway were sold. The initial starting price of these units is Rs 1.08 crore. Brotin Banerjee MD and CEO of Tata Housing said: “We believe that the amazing response to the project since its launch is a signal of it”. Total sales value of 200 units would be approx. Rs 300 crore. 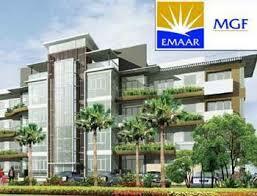 The company is launching 600 flat in this project which is the 5th one in Gurgaon. Tata Housing was established in 1984 is a close to public limited company and an additional of TATA Sons Ltd. The company has supplement 19 million square feet in the pipeline, 70 million square feet under different stages of planning and beheading. World Bank report says global effort to decrease the effects of climate change by shorting greenhouse emissions buildings can play a major role. A recent study united by Vestian with ASSETZ (both real estate) establish Bengaluru’s green building sharing distribution at just 9% as modification of green standards for establishing residential projects here is still different from something. Most of the green buildings in Bengaluru are commercial buildings being engaged by multinational organization, corporate renters and Indian Business houses- that follow green spaces to meet their global surroundings policies. The green housing form in the residential area is non-existing. According to report of United Nation, by 2050 India is calculated to figure out total 300 million urban residences, and Bengaluru is already under the stress of urban housing projects, will get s share of this residential housing. Vestian study says that the concentration of government management in India is on commercial buildings, because they have large consumption of energy due to central heating, air condition and ventilation systems, and power back up 24 hours. Only 2% of the basic fall in the ultra-luxury and luxury segment in the country and most parts of its city also. In the Country Green Building Rating System and Indian Green Building System India these two are awarded to eco-friendly buildings. 2-12 % cost of an inventory applies for green-building certification. 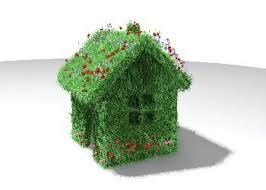 Lots of builders prefer for the certification of green buildings. Due to less knowledge of eco-friendly power among residential and how this regulate costs for long time, many builders avoid for preferring certificate for green buildings as there is extra cost add with it and most buyers or investors are not able to pay this. The view of CREDAI (Confederation of Real Estate Developer’s Association of India) on this is that most of realty firm players are ready to fit in ecofriendly projects if they are guaranteed of a choice on sale cost for green buildings as extra cost is engage in launching such projects. However lack of proof for preserving in operational costs in the cut of a basic performance monitoring system post construction for an official assessment of the intended and actual benefits of green-certified buildings, buyers are reluctant and it is a matter of grave concern as increasing urbanization is adding a lot of pressure on precious natural resources going in as building construction material. Manohar Lal Khattar, former chief minister of Haryana today set down foundation of a 6 lane road project in between Mahaveer Chowk to Dharuhera, and disclosed many schemes combines development of a smart power grid in Gurgaon city. Mr. Khattar has allotted Rs 36.61 crore for the project, he said ‘’ Badalti Soch, Badalta Gurgaon’’ while attending programme. 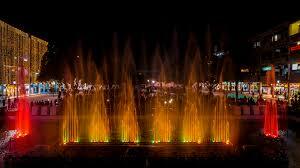 To improve water supply in Gurgaon Rs 20 crore has sanctioned according to a release of government. Old pipelines will be repaired and new pipelines will be set out. Mr. Khattar also gives 4 buildings in DLF area to the District Education Department for education institutes and schools. He said ‘’ Woman university will be soon opened in Gurgaon”. To decrease traffic lines, Foot Bridge will be constructed at Tau Devi Lal Park. Rs 2O crore has been allotted for road which will be built at Sector-15. ‘’4 underpasses will also be built at Rajiv Chowk, Iffco Chowk, Signature Tower will decrease traffic problems at Gurgaon Expressway and in service roads’’. Among fast track list of 13 towns Chandigarh was also included in in smart cities projects. Estimated cost will be around Rs 6,200 crore. The aim of smart city is to maintain the comfortable living and sustainability of the city. Baldeo Purushartha, municipal commissioner of Chandigarh Municipal Corporation and CEO of Chandigarh Smart city Ltd. The main focus is on Area-Based Development and pan-city development plan. Purushartha says sectors 17, 22, 35 will be developed as smart sectors of the city. The aim of Pan-city plan is to improve safety and public life, smart and integrated e-governance and livability. The internal areas of sector 17 will be made vehicle free zone. Residents will receive 24×7 water supplies, smart meters for electricity, water consumers, personalized mobile app services to accesses facilities. 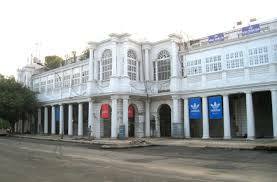 Jan Marg, one of the central lifelines of the city, will be pedestrianized on weekends – art fairs, yoga sessions, sports and street shows will be organized here and food stalls set up. According to Purushartha both projects will be completed in the period of 2 years. Estimated cost will be around Rs 6,200 crore, for pan city proposal Rs 250 crore and for ABD (area based development) Rs 5,950 crore. 27 members of NAREDCO a builder’s body have promised to invest Rs 90,000 crore in Haryana in coming next 5 years, by realty majors DLF and M3M. The memorandum of understanding were contracted between the members of National Real Estate Development Council and the government of Haryana in a newly conducted summit named Happening Haryana Global Investors Summit in this year of March. DLF promised to invest Rs 20,000 crore while M3M Group will invest Rs 45,365 crore in next 5 years. Top 10 companies like Suncity Project with Rs 4,662 crore, Orris infrastructure with Rs 8,000, Satya developers with Rs 2,300 crore, Ansal properties and infrastructure with Rs 2,370 crore, Jindal Reality with Rs 1,800 crore, Express projects with Rs 1,500 and Conscient Infrastructure with Rs 1, 210 crore investment. Praveen Jain, president of NAREDCO said that the main focus is on affordable housing in Haryana including investment in residential and commercial sectors. 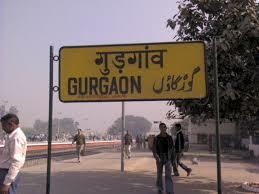 Realtor’s body has wished to central government to include Gurgaon in 1-00 smart city project. Haryana Government has decided to increase floor area ratio to double for construction buildings in the area of surroundings proposed large extension of Metro lines in Gurgaon. 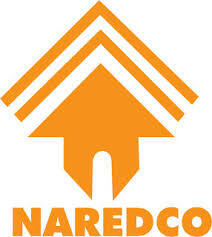 NAREDCO has witness changes in top level recently. The new chairman of realtor’s body Rajeev Talwar in April, CEO of DLF, Parveen Jain , was elected for the post of President of the NAREDCO in last year of September, CMD of Tulip Infratech. According to CBRE property consultant Delhi’s Connaught Place has dropped mark to become the world’s seventh most valuable office destination. On Beijing Finance Street is on 3rd, Beijing Central Business District is on 4th and Hong Kong west Kowloon is on 5th position. In ranking given by CBRE declared last December, London Central West End was given no. 1 position while Delhi’s Connaught place scores 6th position. “Commercial real estate market in India has observed positive development over the past year. At 7 rank C.P (Connaught Place) attracting constantly occupiers and observes solid sublease activity for space for front office.” Said CBRE South Asia Chairman and Managing Director Anshuman Magazine. He said” Connaught Place central location and comfort connectivity to attract reputed big corporate offices like financial institution, mainly banks and engineering firms”. Anshuman Magazine said, Due to satisfactory supply of quality space India has always been an attractive destination for many MNCs to broad their operations or set up new offices. In Pacific Asia major office ownership price grew faster than universal average. Including Jakarta and Singapore some Southeast Asian markets registered decline. Commercial Real Estate Service step ownership cost for major offices space in 126 markets universally. Among top 50 top expensive markets 20 in Asia Pacific,20 in Europe, 10 in Americas. 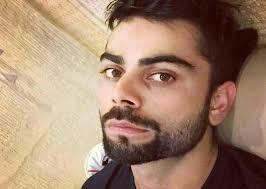 India’s Test Captain Virat Kolhli has invested Rs 34 crore in a super luxurious apartment situated in Worli Mumbai. According to Economic Times the area of apartment is 7,171 square feet from sea view, unit is on 35th floor of the apartment. Yuvraj Singh also buys an apartment on 29 Th floor in the same apartment. Economic Report source says “The talks to buy apartment was going on from many days but transaction has been done recently. The pent house is under construction but area is as much that 5 bedroom set can be made easily”. The apartment of Virat’s is not ready for possession now it will be completed nearby mid of 2018. After 3 months mid-day reports two directors of Varun industries named Kiran Mehta and Kailash Agarwal fooled 10 banks to the tune of Rs 2,555 crore. Among 10 banks one bank named Indian Bank has decided to put up their flats for auction. For e-auctioning of the flats 21 July date has been selected by bank’s Asset Recover Management Branch. The coming nominees can certify the properties on 13 July, followed by documents on 14 July. 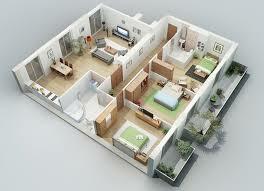 Area of flats for sale is between 722 to 775 square feet each. 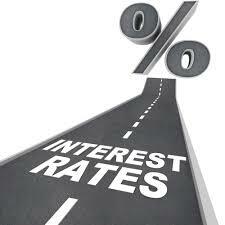 While the asset cost will be Rs 15.25 crore a coming nominees is allowed to increase the offer by Rs 10 lakh. The EMD (earnest Money Deposit) by a bidder has been set for each flat is Rs 50 lakh. According to experts this auction is just like Vijay Mallya’s properties; even these properties may not find any investors, as 4 flats have been emerged into 2. Experts of realty said that cost of 19 Th and 20 Th floor in Vardhman Heights in Byculla, cost at Rs. 15.25 crore. In 2016, Bengaluru has faced 28% deficiency in office space. According to top consultants of real estate the demand goes on very high in the Country’s tech capital, in between 2016 developers were incapable in supplying Grade A office. Ram T Chandnani, managing director, India, Advisory and Transaction Services, CBRE South Asia said, The City will observe supply of approx. 9 million by end of December 2016 opposing 12.5 million square feet consume in 2015. Till middle June 2016, Bengaluru has consumption o 6 million square feet of Grade A office space, Ram T Chandnani said. Bengaluru witnesses high demand of IT/ IT eS sectors, healthcare, banking, as well as the e-commerce start-ups. Last year the e-commerce sector assumed for 6% of total consumption. The share of e-commerce companies will trip to 5% of total consumption of office spaces. Chandnani added. 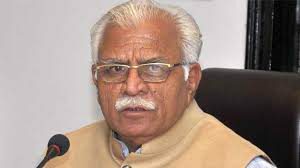 On Thursday, Haryana Chief Minister Manohar Lal Khattar directed to check status of residential and commercials projects who have been registered license recently. This step was taken due to complaint against real estate developers goes on increasing day by day. In district injustice committee held in Gurgaon, complaints of home buyers were listening, after then Chief Minister ordered deputy commissioner of Gurgaon to gather all details of projects which are under construction of different developers. By following numbers of complaint against the company, the State government is taking stock of Unitech’s benefits and duty in the country and also in abroad. He also said the plan of all individual projects like number of units, number of towers, total number of sold units, details of collected payment from home buyers and current condition and status of project will be collected. If implemented then it would be a drastic change in a real estate sector by bringing transparency in it, which has largely remained uncontrolled. DTCP provides licenses are given to developers on the basis of handover of details of land and licenses are issued for group housing societies which are developing, commercial project and plotted colony. DTCP do not keep any records at present like number of towers, units. Sold units number and collected payment from buyers for the project constructed on criteria of license given by them. This step could relief to allotters of housing projects under various stages of development. It has been seen in many cases buyers have to wait very long for possession still after they have given most of the payment. The buyers are getting restless as further construction of many projects has stopped and many of these projects for last 2 years and builders are not giving satisfactory reason for delay and deadline for the total construction completion of projects getting delayed. The directions of Chief Minister out after hearing to the problems faces by home buyers of Emmar MGF Palam Hills at sector 77. Home buyers of Emmar MGF Palam Hills pleased before CM that the developers is delaying hand over the key on time and is cheating intentionally. This project has 1100 flats in total 65 towers and was launched in 2010 March at sector 77, Gurgaon. As per commitment on agreement developer should delivered flats in 36 month, including 3 months grace period from the date of start of construction, which expired in February 2014,” said Pankaj Kalra, home buyer and complainant. He said buyers have already paid 90-98% of the cost by the end of 2013, but project is far from completion till date. 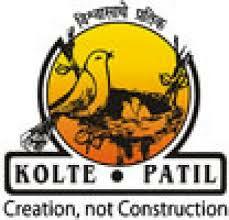 Kolte-Patil Developers Limited, a Pune based realty firm has promoted Gopal Sarda as executive officer chief for the Mumbai region and Group President, 7 months after Sujay Kalele quit from the designation of CEO of Company. His role will be highly responsible towards business development, marketing and sales, relations with investors and corporate finance, the company said in a Bombay Stock Exchange filling. Sarda, a chartered accountant has placed in the company in year 2010 as on designation of senior manager of strategy and corporate finance. Earlier he was on the post of region business head of Mumbai operations. Present CEO Sujay Kalele is stepping toward to start his own real estate company which will work as manager of development, marketing and sales of projects for other builders. India’s second largest reputed developers have again show the reason for their positive leadership quality in the real estate market by becoming the winner of FIABCI World Prix d’ Excellence award this year. 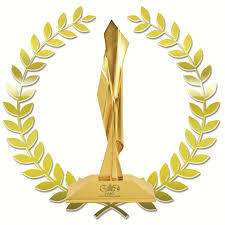 This award is considered to be the ‘’ Oscars’’ of real estate market industry. During the FIABCI 67th World Congress winners were honored at private joyful ceremonies which were attended by hundreds of guests from various 40 countries. This year’s World Congress took place in Panama City which is transcontinental country in between North and South America. The International Real Estate Federation is a field network of real estate professional worldwide. FIABCI gives golden opportunity for real estate industry professionals interested in obtaining knowledge, sharing of information and arranging international business with each other. FIABCI is the most repetitive representative management of the real estate sector in the whole world and control special advising status with the ECOSOC (Economic and Social Council) of US with the total 65 member in countries, including 100 professional Associations, 3000 individual members, 65 Academic Institutions from all expert professions of the real estate industry. Prestige Group was started in 1986 and in present it is second largest developer in India. Headquarter of this company is in The Electronic City of India i.e. Bangalore, while its projects is in various cities of South India including Chennai, Hyderabad, Kochi, Mysore, Mangalore and Goa, completed across 200 projects here. Market Capital of Prestige Group is Rs 5,328.75(Bombay Stock Exchange, as of 14 March 2016). This listed company is the only CRISIL DA1 rated developer in India. Projects of this company are situated near well developed areas. The company has develop luxury residential and retail market development in South India with various landmark developments like Prestige, UB City, Acropolis, Prestige Shantiniketan, Prestige Golfshire, Prestige Silver Springs in Chennai. With buyer thought subdued, developers are finding it tough to sell apartments/flats, implying prices could be correct a proper bit. Home prices are very low in cities such as Pune, Mumbai, Delhi- NCR than they are were in 2015, Data shown by Cushman and Wakefield show prices have corrected in certain pockets. The second phase of project of Godrej Properties Trees in Mumbai has not get better response only 100 or near to it has been booked which is very less than the first phase of project. The listed company isn’t confessing the numbers of flats/apartments on any offer. Sobha Developers has lost its FY16 with quarter of March work performance twisting out to be very weakest in the last four. Sales in NCR region are very much slow. 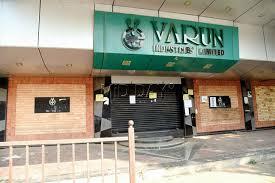 In Gurgaon the demand of Vatika and Tata Housing property has been simple and quiet. Data from property firms show launches are getting up step in Mumbai, Pune and Bengaluru. In period between Januarys to March launches were constantly higher by 32% in Bengaluru, 34% in Mumbai and 12% in Pune. A Colliers India report said. Cushman & Wakefield estimated new launches have escalated by 25% year-on-year, after falling over 60% in the past two years. Criticism following the March Quarter conclusion indicates companies are opposed away from sales projections at best they’re talking of a status quo. Real estate business has been better in Bengaluru; Prestige Estates and Brigade Enterprises have been easy to blow through sales. A big offer in property tax could be withdrawn as the standing committee has shown its eagerness to revise the general’s body decision taken in February to set up funds for 24×7 Water supplies. 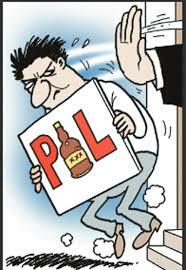 Balasaheb Bodke, standing committee chief said that “The proposal has been propose before us. The administration will be call in before taking a final call. Now, it has been sent for a review. 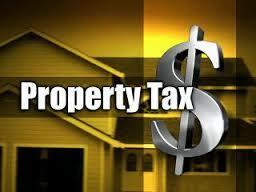 The property tax department will take a call on it and send it to us. For 2016-2017 economic, the general body in February accepts a 12% hike up in water tax, which is a unit of property tax. There is also a plan to hike up the tax by 15% in every economical term from that day till 2020-2021. Congress, Maharashtra Navnirman Sena and Shiv Sena had clashed the move but the ruling Nationalist Congress Party, with the support of Bhartiya Janta Party, maintain to clear the outline. In 2016 January, the PMC administration had offer a boost of 50% in water charges, describing that the funds hence develop will be used for giving fair water to all. The offer also describes that the commissioner will have the upright to increase it by 5% for the coming 30 years. The existing committee in February made changes in the offer and preferred 12% hike for the year 2012017, followed 15% hike up whole year 2020-2021 and right to the commissioner of municipality for increasing 5%tax annually till the year 2047. The ordinary body made more changes to the offer. It rejected the plan of giving the civic administration to the right to increase the tax by 5%every year till 2047, but approved other demands. PMC officials say the administration will have to check the feasibility of changing the decision. The offer has already been accepted by the ordinary body. The opinion about changing in the tax pattern again will have to take at the ordinary body. After standing committee’s approval, the proposal will be sent to the general body for a final stamp. Only then the proposal could be discarded.